After summer we are back with Aigang development updates. We have covered the last mile needed to complete the full working insurance with claims management on-chain. 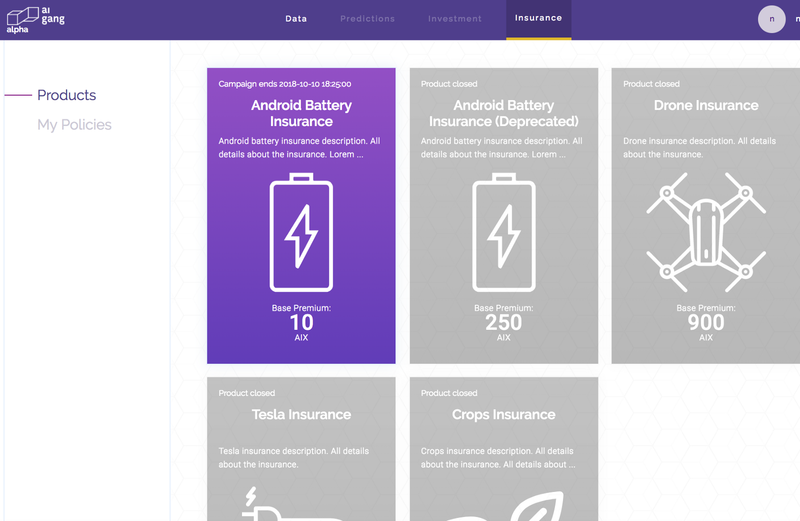 Together with this launch, the insurance product will be available on Ethereum testnet and will cover Android battery insurance, premium calculation, policy setup (insurance smart contract) and managing claim pay outs on Ethereum. 1/ Aigang.Insurance platform will be using AIX token and will be able to offer more insurance products, either from Aigang or 3rd party insurance developers. 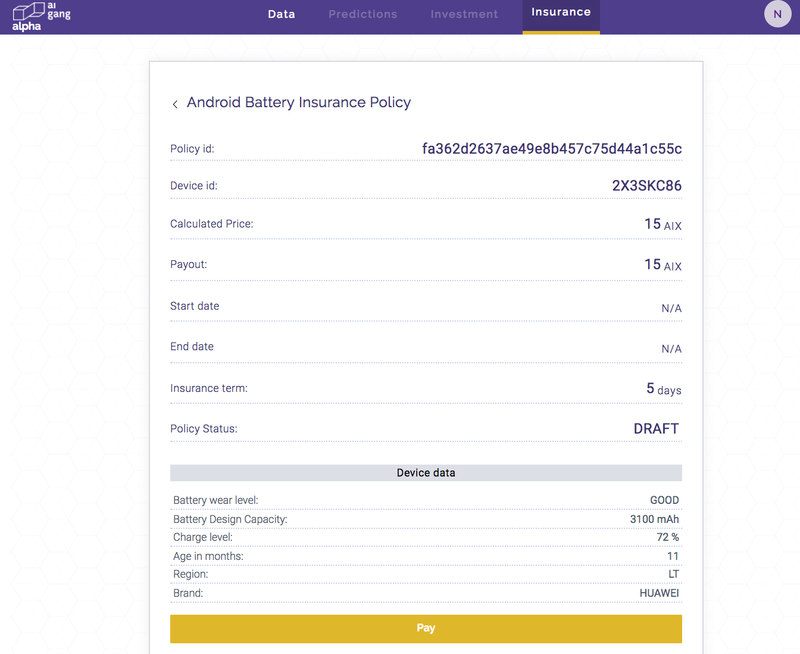 Aigang.Insurance platform with Battery Insurance on-chain via Android app. 2/ For now, we will use AIX token (to be claimed via testnet faucet) for buying insurance policy and getting insurance payouts. 3/ Claim process is managed from Aigang.Insurance platform, payment payout done in AIX tokens on Ethereum testnet. We are finalising the launch of Battery Insurance and Android mobile app for testing purposes. 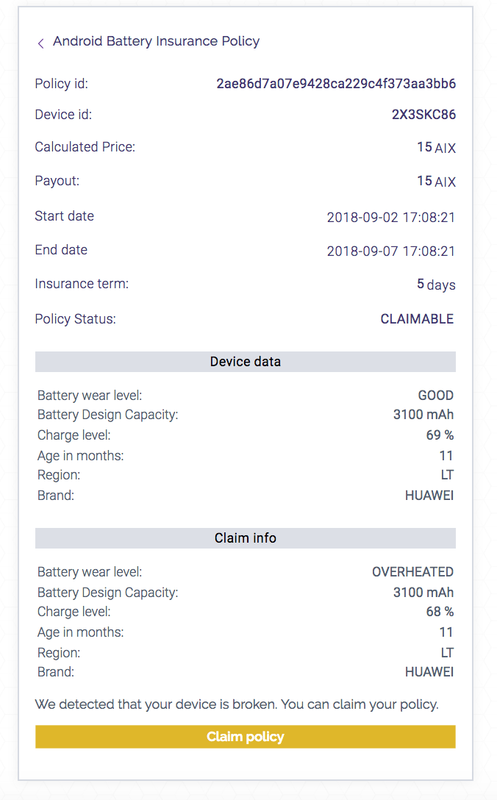 To get more feedback, we will create testing group and will offer rewards for contributions and helping us to test the Battery Insurance and Android app before and during Testnet launch. Also, more detailed scope for Aigang Prediction market architecture was published on our blog here (Part 1) and here (Part 2). We are getting ready for Testnet launch (with Battery Insurance) and Aigang.Prediction launch and will cover it with the next update. Follow Aigang Github wiki page here with dev updates every two weeks.